After fixing my things and had that buffet breakfast earlier than usual, I headed out of my hotel to spend my last day in Kyoto (Day 4) visiting Gion district, Yasaka Jinja, and Chion-in temple (all walking distance from the hotel) before I check-out and move to Osaka in the afternoon. Early morning in Hanami-koji street of Gion where it is at its loneliest. Gion is Kyoto’s most famous geisha district. Beside my hotel was Hanami-koji, a street packed with bars, restaurants, and traditional teahouses (ochaya). Gion is most atmospheric during night time where geiko and maiko entertain in some establishments. 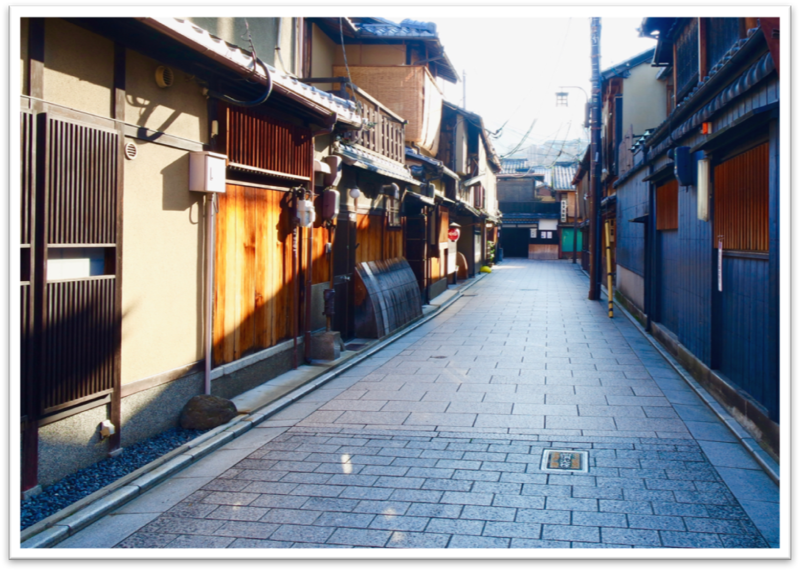 Gion evokes a different character during early morning where one can have an appreciation of its desolate streets, Edo period architecture and the feel of old Japan. Yasaka jinja. Most famous landmark in Gion. Just across the street is Yasaka jinja, a Shinto shrine which was founded in year 656. Considered as the spiritual heart of Kyoto, many Kyotoites (Kyoto locals) flock here for weddings, baptismals, and usual prayers for love, health and success. I didn’t know that this shrine is open 24 hours a day. Had I know before, I could have visited it at night where all its enchanting lanterns are illuminated. I then pass by Maruyama Park to check the autumn leaves but unfortunately “koyo” is not yet at its peak. Maruyama Park is also popular for its “hanami” where hundreds of cherry trees bloom during spring. The stone steps behind this gate was used as set in the movie The Last Samurai. Few meters away is the gigantic Sanmon Gate, the main entrance gate of Chion-in temple. Chion-in, a Buddhist temple, was still young at around 800 years. 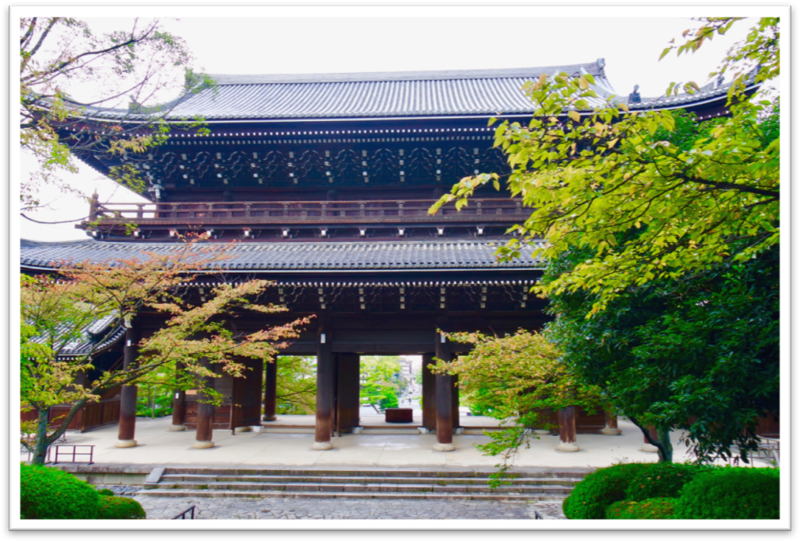 The original temple was built in the year 1234 while its colossal main gate was built in 1619 and is considered as the largest surviving structure of its kind in Japan. 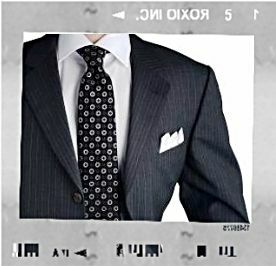 You better have your selfie here as it is really amazing. I had no idea that it is also home to Japan’s largest temple bell. It requires a twenty-five man team to have it sound. A quaint temple inside Chion-in complex. 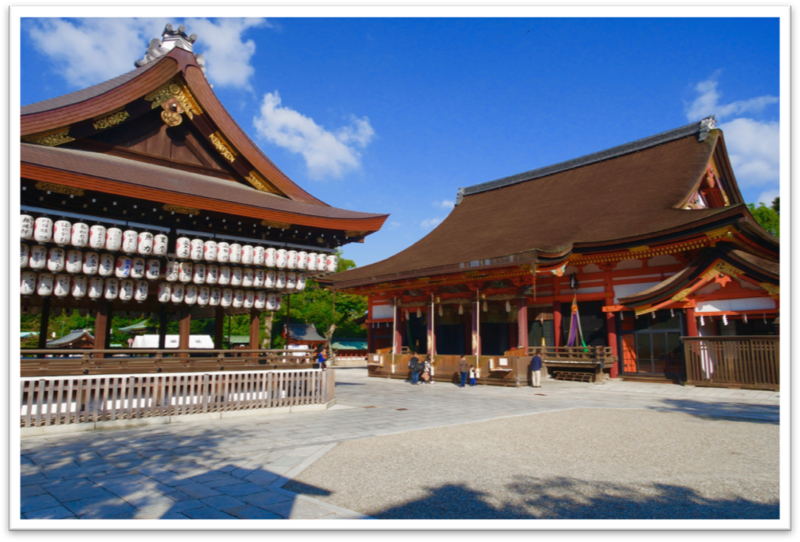 Admission to both Yasaka shrine and Chionin temple is free. These sites capped my temple run in Kyoto and after a light lunch of coffee and sandwich at Starbucks Gion-Shijo Station, I bade Kyoto goodbye with much sadness. I took Keihan Main Line for Yodobashi then transferred to Midosuji Line and dropped at Namba. I used my ICOCA card for this trip which cost me Y870, travel time was 75 minutes. I immediately felt the rush when I arrived in Namba. Not only because it is one of Osaka’s major city centers and most famous entertainment district but Namba station itself is served by three train companies and three subway lines. One couldn’t imagine the entwined rails and swarm of people in all corners of this station which is also connected to Namba Parks, Namba Walk, and hundreds of stores collectively known as the biggest downtown area in the world. 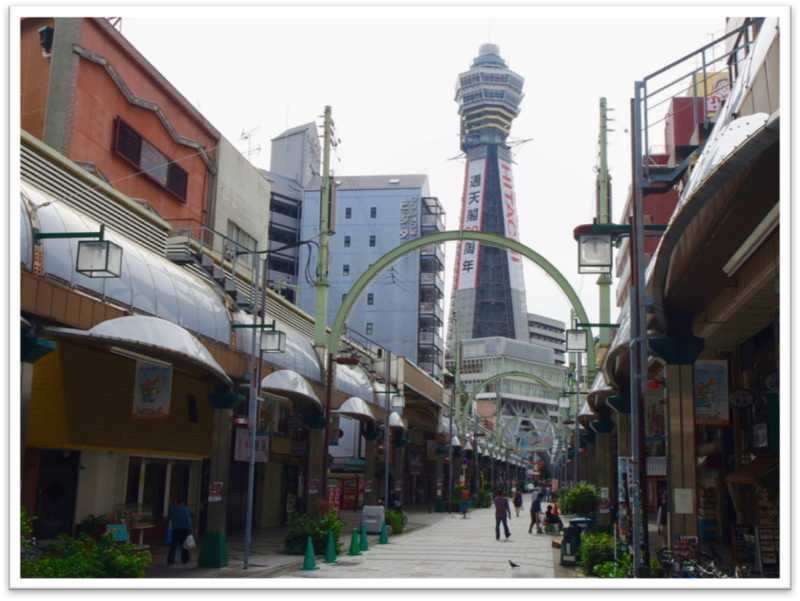 Namba station is also walking distance to popular attactions like Dotombori, Denden Town, Shinsaibashi, and Amerikamura. Hurriedly, I went out of the station only to find myself at the very street leading to Dotombori where flock of tourists are omnipresent. Good Lord, there’s nothing like wandering around lonely streets of Kyoto. It was fortunate though that my capsule hotel is also in Dotombori so after checking-in and depositing my luggage, off I went to Hozenji to pay my respect to Fudomyo. The deity Fudomyo of Hozenji temple. 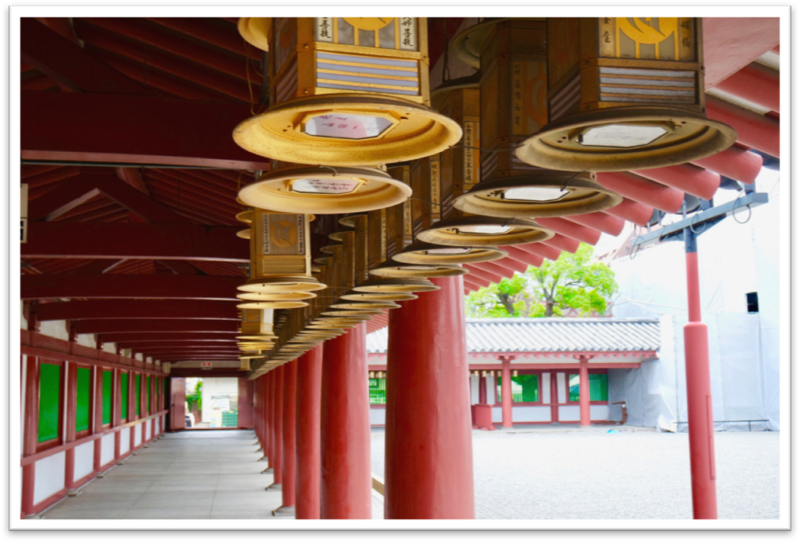 Hozenji temple is a 17th century Buddhist temple located in a narrow alleyway near Dotombori. 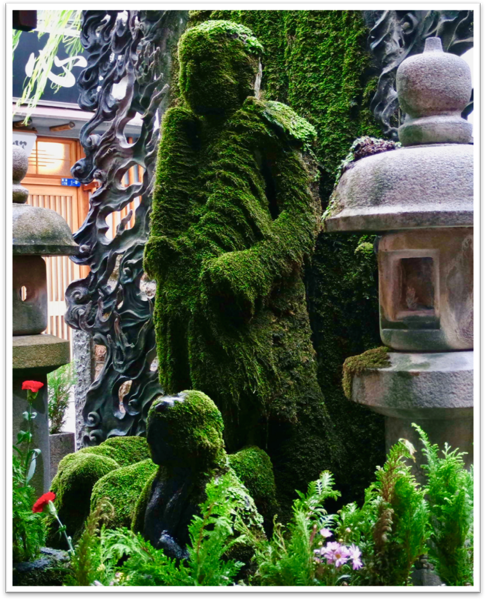 Its deity is the moss covered statue of Fudomyo. Pray and pour water over him to receive blessings. This temple is a stark antithesis to the chaotic atmosphere of adjacent Dotombori. Your Corporate Slave before the lights of Dotombori. The lights of Dotombori went on early evening when I was already alongside Dotombori canal. 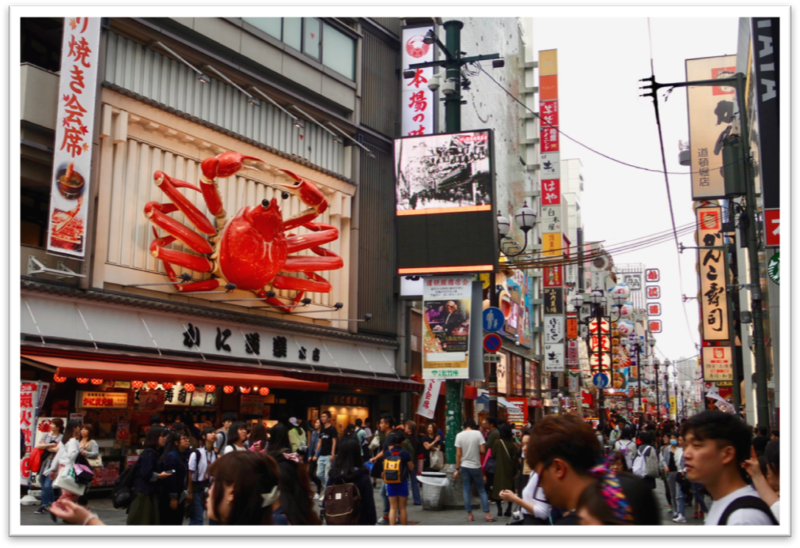 Dotombori is known for its colorful signboards and is home to many of Osaka’s best restaurants, street foods, shops, and of course Donki or Don Quijote. There was even a concert of some J-Pop group when I was there but still, I don’t think Dotombori is for me. I had a packed itinerary on my Day 5 in Japan (Day 1 in Osaka). I’m not familiar yet with the subway system in Osaka so I bought the 2Day Osaka Amazing Pass for an unlimited subway ride to make sure. The pass also comes with free admission to most tourist spots within the city so I considered it a steal at Y3,000. Centuries old brass lanterns inside Shitenno-ji. First in my itinerary was Shitennoji Temple, the oldest officially administered temple in Japan. 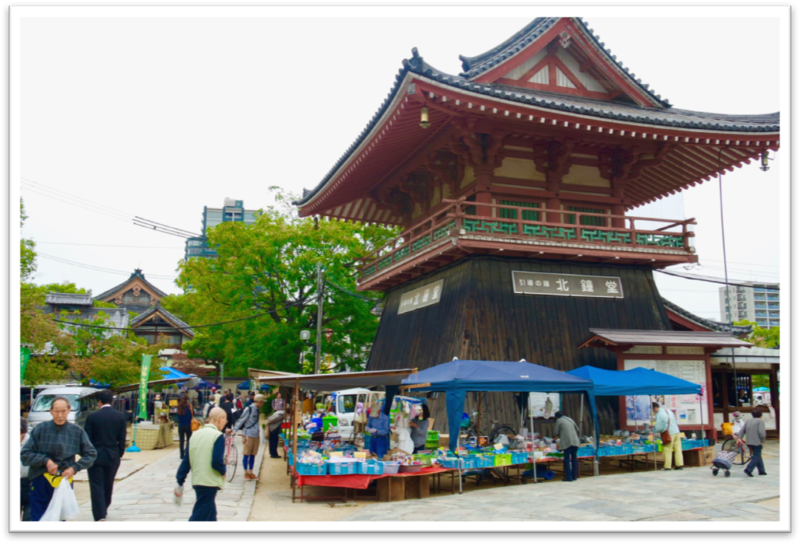 Founded in 593, this temple is the favorite temple of many locals and is fondly regarded as the Buddhist altar of Osaka. I think I was the only gaijin at the time of my visit here. Shitenno-ji flea market every 21st and 22nd of the month. There was a flea market with merchants selling new and used items, novelties, and antiques. I noticed that merchandise here including foods and fruits are a lot cheaper than any other place in Osaka or Kyoto. Haggling is even practiced. 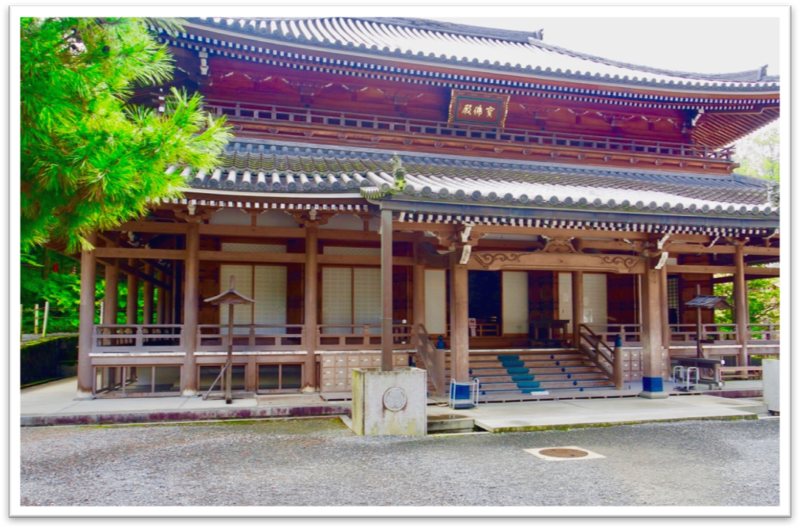 Entering the temple complex is like stepping back in time, to the uncomplicated hush of a bygone era where samurai and shogun still exist. Admission to the temple is Y300 but free for Osaka Amazing Pass holder. Few blocks away from Shitennoji temple is Tsutentaku Tower. (I nonetheless, took a subway even if it was just the next stop since I had that Osaka pass.) Built in 1912, Tsutentaku literally means “Building leading to heaven” because it was the tallest structure in East Asia at that time. 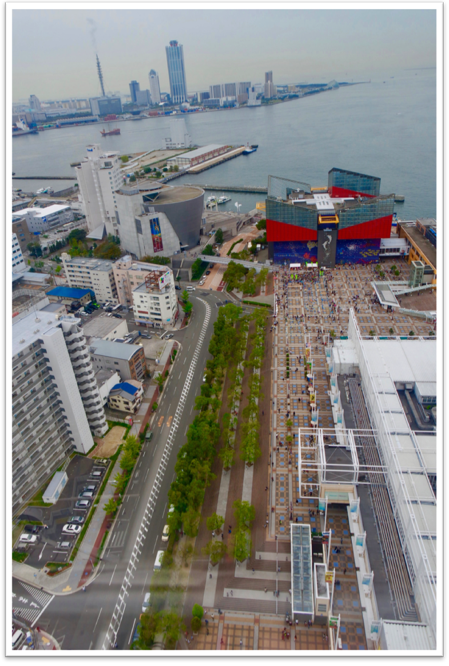 It has an observation platform where one can have a 360o view of Naniwa Ward. This landmark has appeared in many movies and attracts more than 700,000 visitors a year. Admission to the tower is Y600 but free for Osaka Amazing Pass holder. Tennoji area is also known as old Osaka and considered by many (who knew it and I didn’t) as unsafe. I agree that some hallways appear seedy but I didn’t realize that it was one of Japan’s most dangerous place for tourists. I even had a decent lunch of curried pork tonkatsu in one of the restaurants there where the host was very nice but appears bewildered of my presence at her restaurant. Since I was already in the area, I decided to visit the Osaka Zoo (Admission is Y500 but free for Osaka Amazing Pass holder). 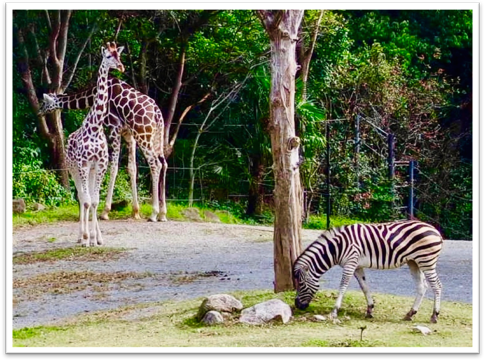 It houses some 1,500 animals of 300 different species but I came there to see their koalas, pandas, polar bear, and emperor penguins. Good thing that the weather was cool and perfect for a stroll in this 100 thousand square meter zoo. Early afternoon when I left Osaka Zoo and headed to Umeda Station, considered as the busiest station in western Japan. If I got overwhelmed at the crowd in Namba station, Umeda station can easily surpass that. Year 2005 record says that it was already serving 2,343,727 passengers daily. Right outside of Umeda station is HEP Five, a shopping complex with a bright red Ferris Wheel on its roof. 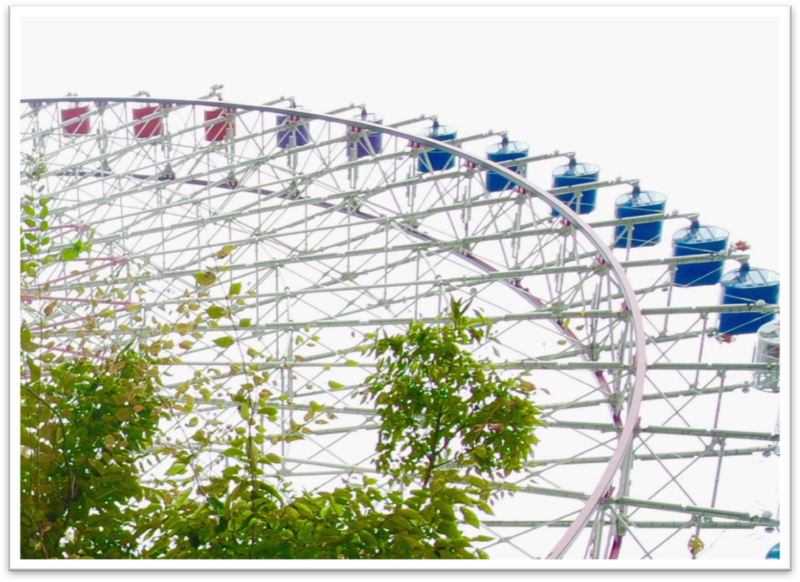 Unfortunately, the 106 meters above the ground ferris wheel was undergoing renovation so I have no choice but to proceed to my last destination that day. The escalators that connect the two towers of Umeda Sky Building. Umeda Sky Building is the nineteenth tallest building in Osaka at 173 meters tall, consists of two 40-storey towers connected with each other in mid-air by two escalators that just happened to be the world’s highest at 550 feet of clear space. Riding that escalator can be terrifying to those who are afraid of heights. Admission to the observatory is Y1,000 but free for Osaka Amazing Pass holder. Dinner was a sandwich at Subway just outside of Namba Station. My Day 6 schedule in Japan (2nd day in Osaka) was intentionally light as I need to do some shopping by exploring Namba Parks, BIC Camera, some Kusuri and Don Quijote. 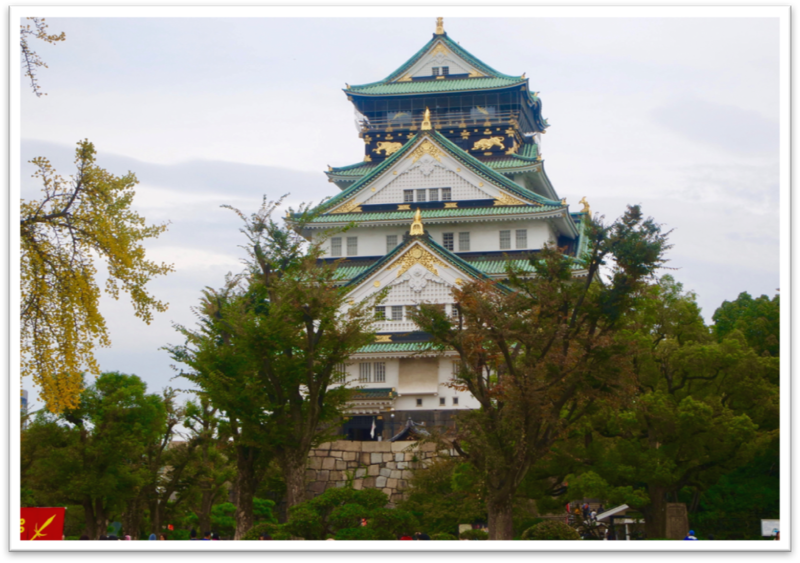 I know that my morning will be spent inside Osaka Castle Museum, the most popular sightseeing spot in Osaka. The most popular symbol of Osaka. Built in 1583, the castle itself is relatively young but not short in history. Its museum has a large number of historical artifacts, approximately 10,000 important items including the real armors and swords of some heroes in Japanese history. Admission to this castle is Y600 but free for Osaka Amazing Pass holder. Used to be the tallest ferris wheel in the world. It was already noon when I moved toward Osaka Bay area where Tempozan Giant Ferris Wheel is located. Used to be the biggest, tallest, and most technologically advanced observation wheel in the world, the wheel can offer far reaching breathtaking panoramic view of the bay area. View of Osaka Aquarium from Tempozan ferris wheel. 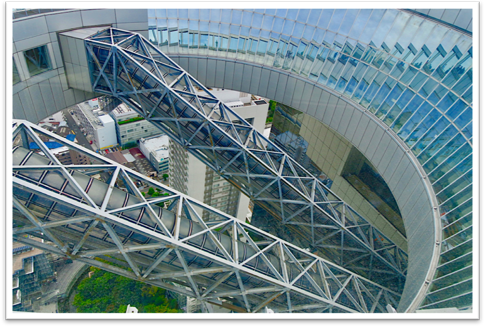 Admission to ride the wheel is Y800 but free for Osaka Amazing Pass holder. Beside the ferris wheel is the Tempozan Market Place mall where a LegoLand Discovery Center can be found. Osaka Aquarium was just a few meters away. I actually forgot that I didn’t have any lunch yet until I was done riding Tempozan wheel so I proceeded to (always) reliable Kombini nearby and had a fix of Onigiri and fruit milk before returning to Namba. 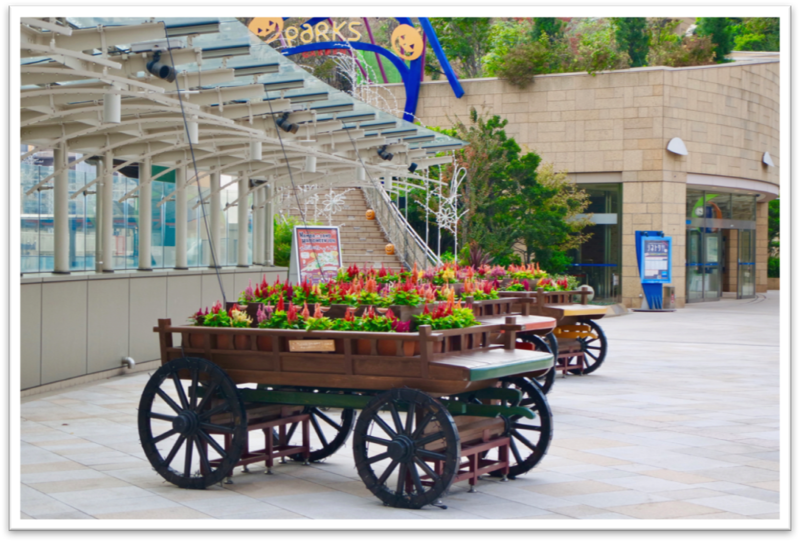 The color of nature at Namba Parks. My curiosity about Namba Parks was satisfied but I found the place to be overrated. It was already late afternoon when I reached the biggest discount shop group in Japan, Don Quijote. The store has an extensive selection of tax-exempt items tourists from every nation are seeking. Queue at Don Quijote is just normal, in any branch. After securing my stash I returned to my hotel and had a reasonably priced dinner of donburi in oversized bowl. I woke up with mixed emotions on Day 7. Excited due to my scheduled return to Manila and, at the same time, sad for it signals the end of my Kansai trip. Anyway, it was good that my hotel location is near Namba Station because they have this Rap:t Train that goes directly to KIX. Advanced reservation is encouraged to avail of discount and numbered seat. 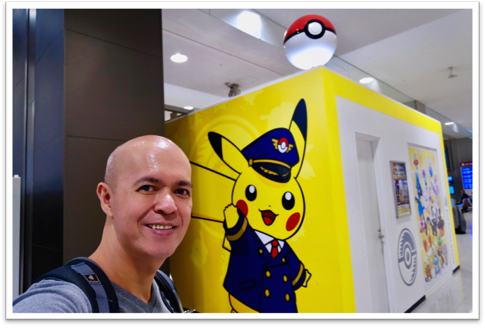 Corporate Slave with Pikachu at KIX. I was already at KIX around 9:00AM, did some exploring (KIX is an awesome airport), had brunch at McDonalds, and kill more time before my boarding time. It was indeed a very profound and riveting trip. Domo arigato gozaimashita Kansai for sharing your culture and history to me. Thank you too for cradling and protecting me while I was in your midst. 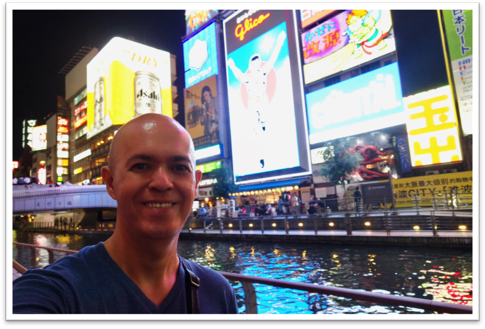 Please click HERE or click below for the first part of my Kansai visit blog. This entry was posted on August 9, 2017 by thecorpslave and tagged Chionin, Dotombori, Fudomyo, Gion, Hozenji, Kansai, Kyoto, Namba, Osaka, Osaka Castle, Tempozan, Tennoji, Tsutentaku, Umeda Sky Building, Yasaka Jinja.